Euthanasia and assisted suicide (2018) a year in review. There were many developments in 2018. This list represents a year in review with the most important articles on euthanasia and assisted suicide. In January, Sweden researcher Fabian Stahle uncovered the hidden problems with the Oregon assisted suicide law (Link). In January a 29 year-old Dutch woman died an assisted death for psychiatric reasons (Link). In January an Ontario Court decided to force doctors to refer patients to euthanasia. A group of doctors have appealed the decision (Link). In February Sick Children's Hospital (Toronto) included a session on child euthanasia at a Paediatric Palliative Care Symposium (Link). In February the BC Health Authority ordered the Delta hospice to participate in euthanasia. The Delta hospice has refused. (Link). In March, Dutch prosecutors were investigating an assisted group after a 19-year-old died (Link). In March a Canadian man launched a case stating he wants an assisted life not an assisted death (Link). In April, Nancy Elliott wrote the article, people who qualify for assisted suicide are not necessarily dying (Link). In May, the American Medical Association (AMA) Ethics Committee said no to assisted suicide (Link). 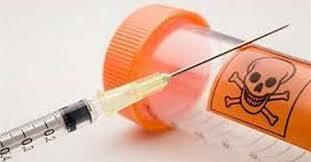 In May a Judge ruled that the California assisted suicide law is unconstitutional (Link). In June the Canadian report indicated that Medical Aid in Dying had increased by 30% in Canada (Link). 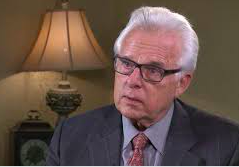 In July Ronald W. Pies, MD and Annette Hanson, MD published the article: 12 myths about assisted suicide and medical aid in dying (Link). 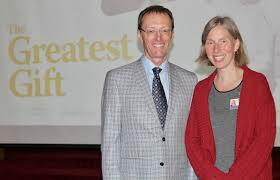 In August a Canadian man released tapes of a London Ontario hospital urging him to die by euthanasia (Link). 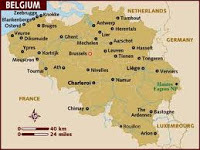 In August, A Belgian euthanasia report stated that three children ages 9, 11 and 17 died by euthanasia (Link). In September, a euthanasia society leader was charged with the murder of a disabled man. (Link). In October I published an article about a woman who was grieving the euthanasia death of her grand-father: Grief and suffering associated with death by euthanasia (Link). In November, a Nova Scotia woman's euthanasia death was promoted by the euthanasia lobby in a campaign to expand euthanasia in Canada (Link). 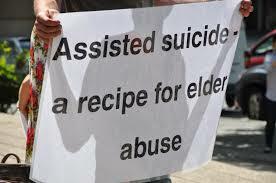 In December House Bill 90 was introduced in New Mexico to legalize assisted suicide. HB 90 is the most dangerous assisted suicide bill that I have ever seen (Link). In December, the third report from the Quebec euthanasia commission was published. There were 142 unreported deaths (Link). In December, a euthanasia activist started a campaign to force a Catholic hospital to participate in euthanasia (Link). Is child euthanasia next in Canada? (Link). Is euthanasia psychiatric treatment? (Link). Leo Alexander: Medical science under dictatorship (Link). Fatal Flaws: A must see film (Link). This list does not include every great article. In 2018 the blog had 750,000 hits. 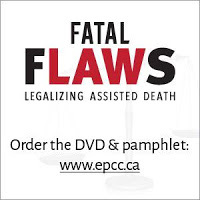 Fifteen Fatally Flawed Assisted Death Experiments. The Australian Care Alliance has completed research on every jurisdiction that legalized euthanasia and/or assisted suicide including Australia's Northern Territory that overturned the assisted suicide in 1997 and Victoria Australia and Hawaii that have yet to implement their death laws. Here is the link to the Australian Care Alliance web page with links to the information on the fifteen fatally flawed laws. Link to the PDF of the 15 Fatally Flawed Experiments (Link). The Australian Care Alliance has completed incredibly useful research. Nova Scotia Catholic hospital facing more pressure to permit euthanasia. On December 18 I wrote an article about how, Jocelyn Downie, a long-time euthanasia activist is pressuring St. Martha's Hospital in Antigonish to participate in euthanasia. The story has not subsided. 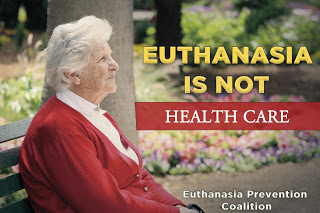 Yesterday CBC, Canada's publicly funded national media, published a pro-euthanasia article by Frances Willick titled: Ban on Assisted Dying at St. Martha's hospital should end. Willick, one again interviews Downie, and to create balance she interviews the leader of Canada's euthanasia lobby. Dalhousie law professor Jocelyn Downie says the hospital's refusal to provide medical assistance in dying — and the Health Department's and Nova Scotia Health Authority's implicit support of that policy — would not stand up to a court challenge. "I just think it's indefensible to have a publicly funded institution have a faith-based filter on the services that are available," said Downie, who is also an Order of Canada recipient. But Downie said her preferred solution would be to have MAID provided at St. Martha's unless a patient can be moved to another location without extra suffering or endangering their capacity to consent. St. Martha's hospital is the current target but the main target are religiously affiliated medical institutions. "It is just a matter of time before a case comes to court." 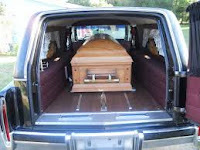 Dying with Dignity Canada is exploring all political and legal solutions to the problem. A few days ago, the Chronicle Herald published an article by Dr Amy Hendricks, a physician at St. Martha's hospital who is not Catholic. Hendricks wrote that the values at St. Martha's hospital have created an excellent level of patient care, and these values need to be preserved. What I have found at St. Martha’s is a unique medical culture that values individuals — whether staff, patients, or families — not because it is a policy of the NSHA, but because this is who we are. The heritage that the Sisters cultivated for over 100 years — of service, excellence and particular love for vulnerable people — is perhaps one reason why so many family physicians still come to see their patients in the ICU, why we don’t have patients on stretchers lining the ER hallways, why my department has the safest signover practice I’ve seen. I don’t believe that forcing euthanasia within St. Martha’s, by severing our staff from our heritage and mission, could have any beneficial effect on the patients we serve. 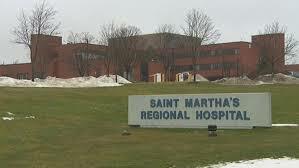 St Martha's hospital was likely chosen by the euthanasia lobby because it is a smaller hospital, serving a smaller region, within a smaller province in Canada. Downie and Dying With Dignity want to force St. Martha's to participate in euthanasia as a stepping stone toward their goal of forcing all religiously affiliated hospitals and hospices to participate in killing their patients. This article was published by National Review online on December 27. Assisted suicide advocates pretend they just want a very limited death license, a “safety valve,” as they put it, for suffering in the terminally ill that cannot otherwise be alleviated (almost always, a false premise). The problem is, their laws and proposals never actually read that way. And now a legalization bill in New Mexico shows the true radical heart of the assisted suicide/euthanasia agenda. Nurse practitioners and physician assistants are not as lengthily educated, nor as experienced in treating and palliating symptoms of serious diseases and disabilities as are physician specialists. So why allow these less qualified professionals to prescribe lethally? Many doctors refuse to participate in ending their patients’ lives where assisted suicide is legal. Broadening the lethal license to non-doctors would ensure a larger pool of ideologically suicide-friendly “health care providers” to whom advocates can refer suicidal patients. “Terminal illness” means a disease or condition that is incurable and irreversible and that, in accordance with reasonable medical judgment, will result in death within the foreseeable future. Thus, a woman with, say, advanced-stage breast cancer–which could take years to reach the point of no return–would be eligible receive a lethal prescription. Ditto, those with progressive disabilities, HIV, kidney disease, etc. The obvious point of such a loose definition is to get closer to a death-on-demand assisted suicide right. 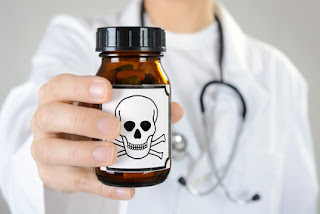 Lethal prescribers will be required to lie on the death certificate that the cause of death was the underlying condition–when in reality, it is quite possible that the condition would never have actually caused the patient’s death. WAITING PERIOD.–A prescription for medical aid in dying medication shall: A. not be filled until forty-eight hours after the .211127.5 prescription for medical aid in dying medication has been written. This means that a patient could go to a nurse practitioner on Monday morning, be examined, have a telemedicine consult (see below), receive the prescription that day, have the poison dispensed on Wednesday, and be dead before Thursday begins. MEDICAL AID IN DYING–RIGHT TO KNOW.–A health care provider shall inform a terminally ill patient of all options related to the patient’s care that are legally available to terminally ill patients that meet the medical standards of care for end of life care. In other words, patients who not receiving end-of-life care because they are not yet in the dying stage of their condition would have to be informed about the immediate availability of assisted suicide. If a health care provider is unable or unwilling to carry out an individual’s request pursuant to the Elizabeth Whitefield End of Life Options Act, that health care provider shall so inform the individual and refer the individual to a health care provider who is able and willing to carry out the individual’s request or to another individual or entity to assist the requesting individual in seeking medical aid in dying. A patient’s request for, or provision by a prescribing health care provider of, medical aid in dying medication in good faith compliance with this section does not constitute neglect for any purpose of law or provide the basis for the appointment of a guardian or conservator. This means the lethal prescriber could make an egregious error–such as a misdiagnosis–and escape legal consequence if acting in “good faith,” whereas a treating doctor could be sued for malpractice under the same circumstance under the more rigorous “reasonable practitioner” standard of care that normally applies. The assisted suicide movement is akin to a death cult. The ultimate ideological point isn’t to provide a last resort escape for the imminently dying, but to enable more people to get dead more quickly. That is why the “protective guidelines: constantly expand–sometimes, as here, even before legalization. Everything else is subterfuge. New Mexico assisted suicide bill may extend assisted suicide to all 50 states. New Mexico House Bill 90 was introduced by Deborah Armstrong (Dem) to legalize assisted suicide. 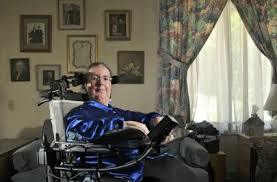 The bill is referred to as The Elizabeth Whitefield End of Life Options Act. 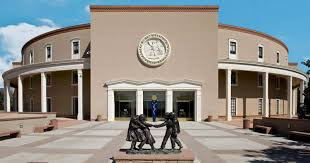 On December 21 I published the article New Mexico Assisted Suicide Bill is the most dangerous bill ever (Link) where I explained how Bill HB 90 expands the scope of assisted suicide in the USA. 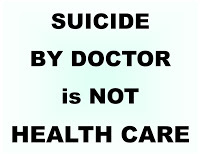 Since HB 90 allows assisted suicide to be approved via telemedicine, if legalized, Bill HB 90 may allow suicide tourism. Assisted suicide is always dangerous and should never be legal because it enables one person to be involved with causing the death of another person with lethal drugs. Let's not be innocent, legalizing assisted suicide leads to the further degradation of people with disabilities and other people who are medically vulnerable while creating new paths for elder abuse and the perfect legal defense for deaths not considered by the assisted suicide debate. while all of this is only held together by "good faith" compliance. HB 90 is so wide that a hearse can drive through it. Michelle Lujan Grisham (Dem), the newly elected Governor of New Mexico stated during the election that she supports assisted suicide. 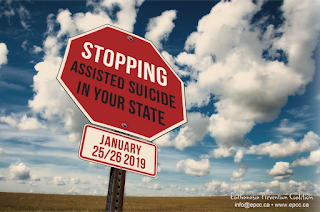 The Euthanasia Prevention Coalition has organized the Stopping Assisted Suicide in Your State Conference in Albuquerque New Mexico with a campaign training session on Friday, January 25 and the Conference on Saturday January 26. (Information link). This article was published by the Worcester Telegram on December 24, 2018. 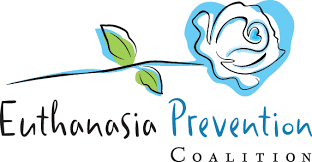 In a recent Wicked Local Lexington commentary (“Medical aid in dying important for some with disabilities,” Sept. 28), Michael Martignetti argues for the legalization of assisted suicide from the perspective of someone with the progressive neurological disability, Friedrichs ataxia. I can relate to the author’s disability experience, as 35 years ago a spinal cord injury left me paralyzed from the neck down. Like Martignetti’s, my disability will present challenges as I age. But whereas Martignetti frames assisted suicide as a personal choice in the face of “unbearable suffering,” I see a state-run program that will result in people losing their lives to misdiagnosis, treatment denial, and coercion/abuse, and depression. Not all families are united in loving and supporting us. Doctors often make diagnostic mistakes: between 12 percent to 15 percent of people admitted to hospice as “terminally ill” outlive the six-month prediction. Many more who never enter hospice also outlive their diagnosis. For example, the late Senator Ted Kennedy lived a full year longer than his diagnosis of 2 to 4 months, while Florence resident John Norton credits 60 years of good life to the unavailability of assisted suicide after a mistaken prognosis. Late last year, the Oregon Health Authority explained that people can become “terminally ill” through insurance denial and unaffordability. For example, Nevada Dr. Brian Callister had two patients denied by California and Oregon insurers for what used to be routine, lifesaving, operations. The insurers only offered the “choice” of hospice or assisted suicide. It’s impossible to talk about individual choice when profit-maximizing companies can – with no accountability – make you terminal. The Health Authority admits its involvement ends with the dispensing of the drugs by the pharmacy. Of the many reported abuses, see the cases of Thomas Middleton (financial abuse), Wendy Melcher (attempted murder of a trans woman), and Kathryn Judson (physician pressure). The bill requires no independent witness at the death, so the supposed safeguard of “self-administration” is empty. Especially vulnerable will be the 10 percent of Massachusetts seniors estimated to be abused yearly. A caregiver or heir to an estate can witness a person’s request, pick up the prescription, and then administer the lethal dose without worry of investigation — the bill immunizes everyone involved. Martignetti insists that disability does not make people eligible, but the Oregon reports show that the 5 leading “end-of-life concerns” are not pain-related but the “existential distress” (New England Journal of Medicine) experienced through “loss of autonomy” (91%), lost abilities (90%), “loss of dignity” (76%), incontinence (46%), and feeling like a burden (44%). 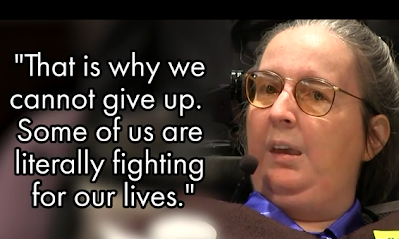 This helps explain why every major national disability rights organization that has taken a position on assisted suicide has come out in opposition. The legislature should continue rejecting a bill that trades on disability prejudice to push vulnerable people toward early deaths. 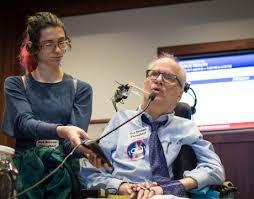 John B. Kelly is director of Second Thoughts Massachusetts: Disability Rights Activists Against Assisted Suicide, a grassroots group opposing assisted suicide since 2011. 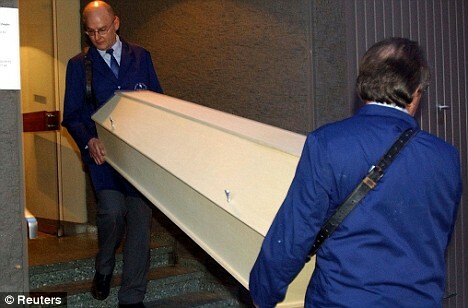 Death tourism is growing in Belgium. John Crisp reported for the Telegraph news today that the number of euthanasia death tourists is rising in Belgium. Crisp suggests that the EU healthcare rules have facilitated this growth. There has been an increase in the number of patients travelling from EU countries where euthanasia is illegal to die in Belgium, where so-called "mercy killings" have been legal since 2002. In 2016 and 2017, 23 foreign patients were brought to Belgium to be helped to die. One unnamed French doctor even applied to come to Belgium on a regular basis with terminally ill patients. Crisp points out that EU regulations allow physicians to practise medicine in other EU countries. A 2005 EU directive allows for medical qualifications to be recognised in another EU member state. Critics have blamed the law for making euthanasia tourism easier because it allows doctors accompanying a patient to another EU country to practice there. Swiss suicide clinics have encouraged suicide tourism as a profitable enterprise for several years. I am concerned that the Belgium euthanasia clinic will turn death tourism into a profitable business. American Medical Association has a growing opposition to assisted suicide. Shane E. Macaulay, MD, who is a radiologist with Center for Diagnostic Imaging in Washington state, and twice selected as one of Seattle's Top Doctors and an AMA Alternate Delegate from Washington state wrote an excellent article that was published by the Medpage Today on December 21, 2018. PAS advocates were dissatisfied by the balanced recommendations offered by the CEJA report, instead insisting that the report be reconsidered until CEJA agree to changing AMA medical ethics. But, increasingly, the AMA delegates are moving towards a rejection of the idea of PAS. At the AMA meeting in June of 2018, the HOD declined to endorse the CEJA report, referring it back for further study by a margin of 10% of votes cast. However, at the recent November 2018 AMA meeting, the CEJA report was nearly accepted, missing by only 3%. As the delegates hear the logical flaws in the arguments used to push PAS, these arguments are losing appeal. Among the pro-PAS arguments debunked by physicians defending the 2,400-year-old Hippocratic tradition that physicians "give no deadly medicine" are the argument of neutrality and the argument that patient autonomy should determine medical ethics. "Neutrality is not neutral. To change from opposition to neutrality represents a substantive shift in a professional, ethical, and political position, declaring a policy no longer morally unacceptable; the political effect is to give it a green light. "Some might argue that neutrality is necessary because there are jurisdictions in which members of medical organizations can prescribe PAS legally. But exceedingly few physicians engage in the practice even in jurisdictions where it is legal, and the fact that some members do so does not require any professional body to be 'neutral' with respect to that practice. As a logical counter-example... to the thesis that professional neutrality is required if a medical practice is legal, consider the fact that physician participation in capital punishment is legal in 30 states. This fact does not affect the ethical opposition that the profession takes, nor has organized medicine felt compelled to give instructions on how to execute prisoners well for those few members who do this." Patient autonomy has been suggested as a justification for PAS. However, no physician would amputate a patient's healthy limb just because the patient wishes it done. Physicians don't give certain drugs or perform certain procedures that are absolutely contraindicated, even if the patient requests it, because physicians are required to use their knowledge to protect the patient. Patient autonomy is important, but never the only factor in a decision, and is never used to determine overarching professional ethics. 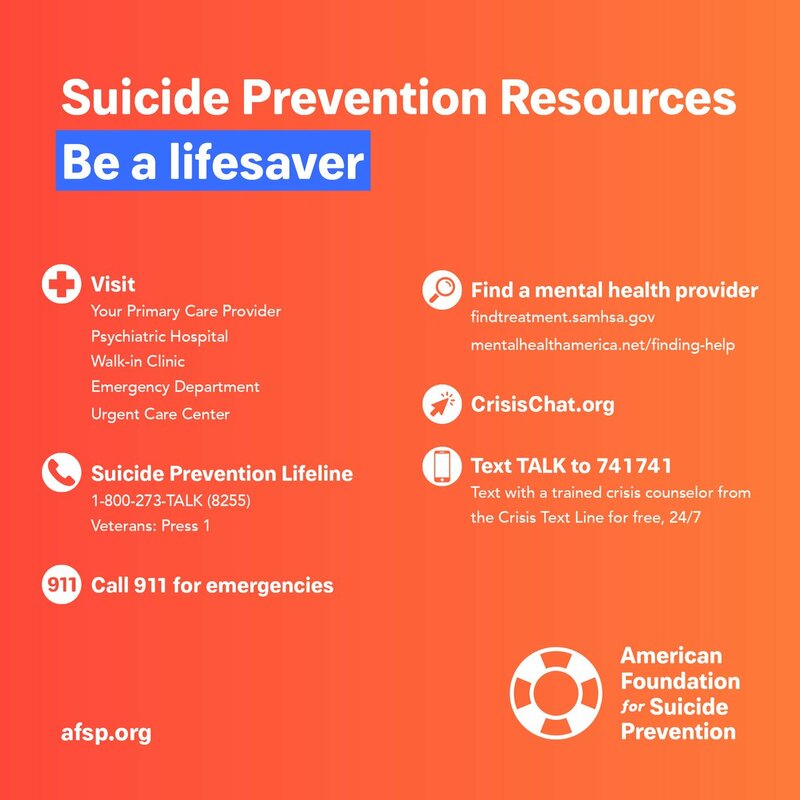 PAS advocates also want to "hide the ball" on PAS, obscuring the fact that it is suicide by giving it pleasant but unclear names like "physician aid in dying." CEJA rightly rejected this, noting that "the term physician-assisted suicide describes the practice with greatest precision. More importantly, it clearly distinguishes the practice from euthanasia. The terms "aid in dying" or "death with dignity" could be used to describe either euthanasia or palliative/hospice care at the end of life and this degree of ambiguity is unacceptable for providing ethical guidance." The AMA is moving towards a reaffirmation of its historic and vital policy opposing PAS, which will best guide physicians and protect patients. AMA ethics committee says no to assisted suicide. AMA continues reviewing its position opposing assisted suicide. Female veterinarians have a much higher suicide rate. Is euthanasia a factor? According to new a study published in the Journal of the American Veterinary Association that examined the deaths of veterinarians from 1979 to 2015, veterinarians have a much higher suicide than members of the general population. Death records from 11,620 veterinarians between 1979 and 2015 showed that at least 398 veterinarians died by suicide during this time period. The suicide rate for veterinarians is far higher than the national average but the suicide rate for female veterinarians is even more concerning. The study indicates that compared to the general population, male veterinarians were 2.1 times more likely and female veterinarians were 3.5 times more likely to die by suicide. veterinarians are trained to view euthanasia as an acceptable method to relieve suffering in animals, which can affect the way veterinarians view human life, including a reduced fear about death, especially among those experiencing suicidal ideation. The study found that access to euthanasia drugs is also a risk factor leading to higher suicide rates. The study explains that veterinarians are 2.5 times more likely to use lethal drugs for suicide than the general population. The use and access to euthanasia drugs contribute to veterinarians having a much higher suicide rate. I wonder if the recent acceptance of euthanasia in Canada will lead to a higher suicide rate in the general population and an even higher suicide rate among physicians who participate in euthanasia? 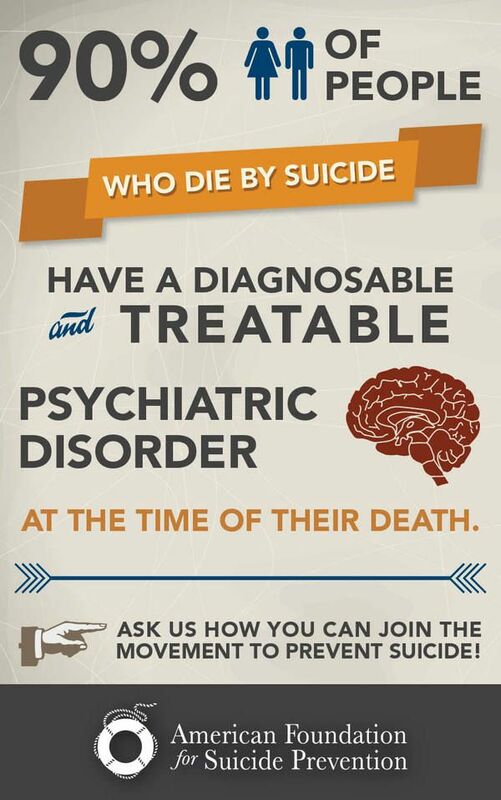 Suicide is always a tragedy and it is preventable. 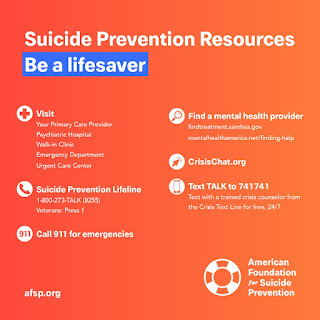 If you are experiencing suicidal ideation, contact a suicide prevention hotline immediately. Speak to someone, don't suffer in silence. New Mexico assisted suicide bill is the most extreme bill. House Bill 90 was introduced in New Mexico by Deborah Armstrong (Dem) to legalize assisted suicide. The bill is referred to as The Elizabeth Whitefield End of Life Options Act. HB 90 is the most extreme assisted suicide bill that I have seen. 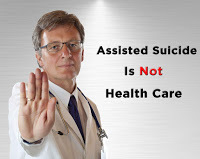 The bill allows assisted suicide for psychiatric conditions, to be done to someone with an undefined "terminal prognosis," to be done by nurses and physician assistants, and it even allows it to be approved via telemedicine. The language of the legislation determines the parameters of the law. HB 90 is wider than any previous assisted suicide bill. HB 90 lacks clarity which has led to several interpretations of the bill. The bill allows nurses and physician assistants to participate in assisted suicide by defining "health care provider" to include: a licensed physician, a licensed osteopathic physician, a licensed nurse, and a licensed physician assistant. The bill does not require the person to "self administer." The bill states "may self-administer" meaning that euthanasia is possible. The bill allows people with mental health disorders to die by assisted suicide. 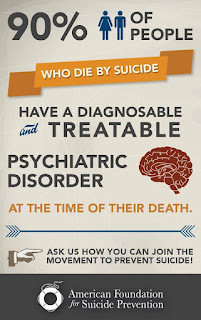 The bill enables licensed psychiatrist, psychologist, master social worker, psychiatric nurse practitioner or professional clinical mental health counselor to approve assisted suicide for people with mental health disorders. The bill allows the "health care provider" to approve death via "telemedicine." The bill replaces the 6 month terminal diagnosis with the undefined term: "foreseeable future." What does it mean that a terminal illness may cause death in the foreseeable future? The bill basis decisions on a "good faith compliance." It is impossible to prove that someone who participated in the act did not do so in "good faith." Section 4 of the bill enables people with mental health disorders and intellectual disabilities to die by assisted suicide. The bill requires people with a mental health disorder or intellectual disability to be evaluated by one of the persons listed above (#3). The bill enables a mental health counselor to approve assisted suicide after one visit or after an assessment by "telemedicine." The Euthanasia Prevention Coalition has organized the Stopping Assisted Suicide in Your State Conference (January 26) and campaign training session (January 25) in Albuquerque New Mexico. (Information link). New Mexico assisted suicide House Bill 90 is designed to kill. Cathy Ludlum, a leader of the disability right group Second Thoughts Connecticut wrote an excellent letter that was published by the Hartford Courant on December 20, 2018. There are many reasons to oppose assisted suicide, and most of them have nothing to do with religion. The repeated defeat of these proposals came about because members of the disability and medical communities approached legislators with practical concerns. These include the likelihood of abuse or coercion, misdiagnosis or wrong diagnosis. There is also clear evidence that wherever assisted suicide becomes law, it gets harder for patients to receive life-saving procedures -- because death will always be the most cost-effective treatment. Perpetuating the stereotype that most opposition comes from the religious community not only does a disservice to all of us who have spent years fighting assisted suicide. It distorts the issue. Instead, we should be educating the public about the many ways assisted suicide does not increase personal choice. Quite the contrary. Second Thoughts Connecticut is a grassroots disability rights organization. New Mexico legislation would allow assisted suicide for people with mental illness. House Bill 90 was introduced to legalize assisted suicide in New Mexico by Deborah Armstrong (Dem). The bill is also referred to as The Elizabeth Whitefield End of Life Options Act. According to KRQE media, Armstrong's assisted suicide bill will permit assisted suicide for people with a mental health disorders, if a mental health professional signs the request. Michelle Lujan Grisham, the recently elected Democrat Governor of New Mexico, stated during the election that she supports the legalization of assisted suicide. Several years ago an activist Judge claimed that there was a right to assisted suicide in New Mexico. On June 30, 2016 the New Mexico Supreme Court, in a 5 - 0 decision, upheld the New Mexico Court of Appeal decision that assisting a suicide is a crime in Morris v Brandenburg. 11-year-old with inoperable brain tumor is cured. Is an Ontario woman dead or is she alive? Is Child Euthanasia Next in Canada? Belgian euthanasia doctor killed 140 people.